I love recipes with short ingredient lists. Somehow, it is more likely for me to try a recipe with a short ingredient list than a lengthy one. There is no doubt the more ingredients you add, the more complex and sophisticated the taste will be. Having said that, I am a simple lady with a simple taste. Less is more. Although the same cannot be said with my obsession with handbags and shoes ha! 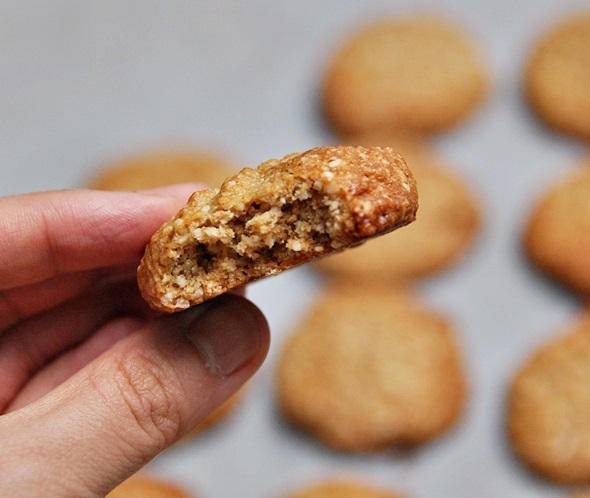 I was drawn to this particular recipe found in the May 2013 Issue of Super Food Idea Magazine because it was a flourless cookies recipe. 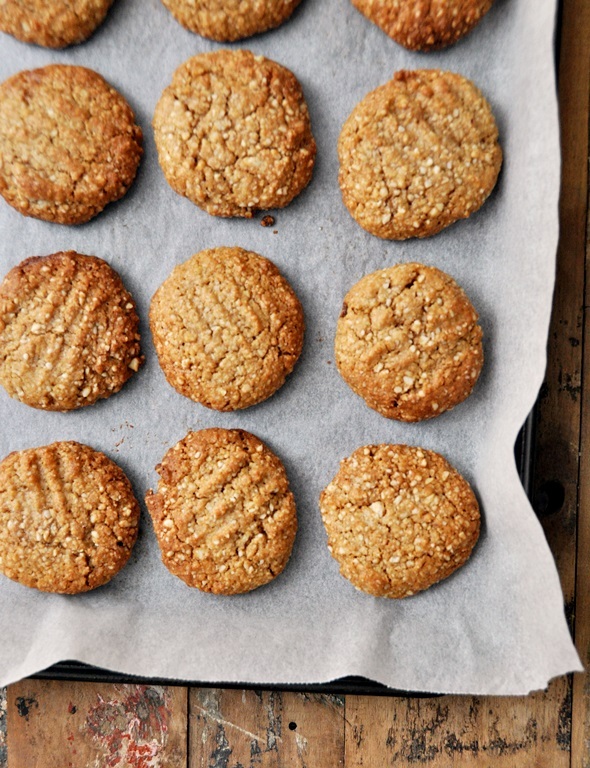 We all heard of flourless cakes but flourless cookies? I’ve just got to try this! Preheat the oven to 180 degrees C/ 356 F. Line a baking tray with parchment paper and set aside. 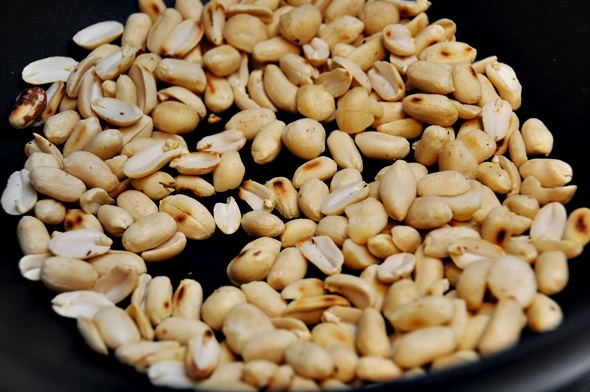 In a medium sized pan, pan roast the peanuts and macadamia until slightly brown. Set aside to cool completely. 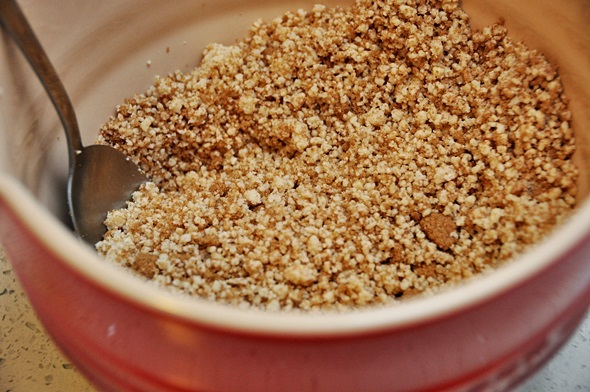 Then add the roasted peanuts and macadamia into a food processor and process until resembles very fine crumbs, like almond meal. 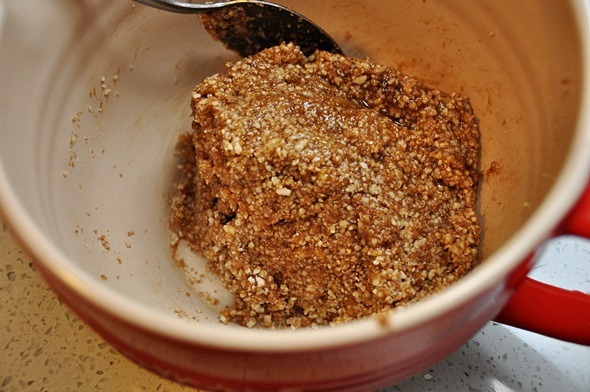 Transfer the peanut-macadamia meal into a mixing bowl, add brown sugar and ground cinnamon, stir with a fork/spoon until very well combine. 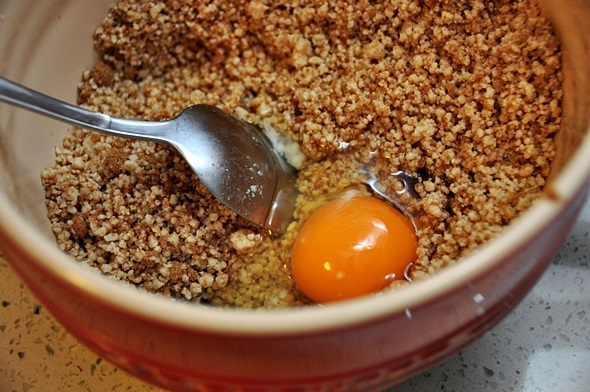 Then add an egg and stir all the ingredients until a dough is formed. 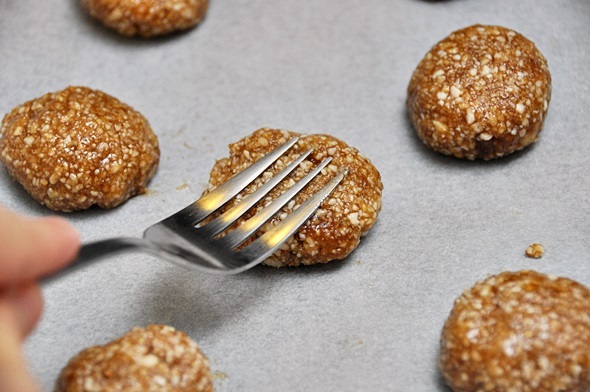 To shape the cookies, oil both of your palms with some olive oil, then scoop about one tablespoon of the dough and roll it between your palms. 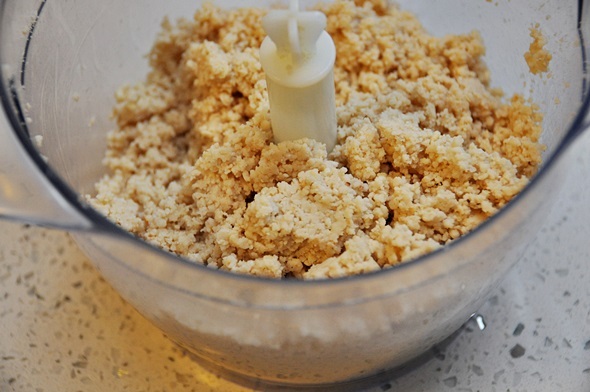 Repeat this step with the remaining dough. Make sure you arrange the dough about an inch apart as the cookies will expand a little (but not as much as the conventional cookies recipe). Gently press each cookie dough with a fork. 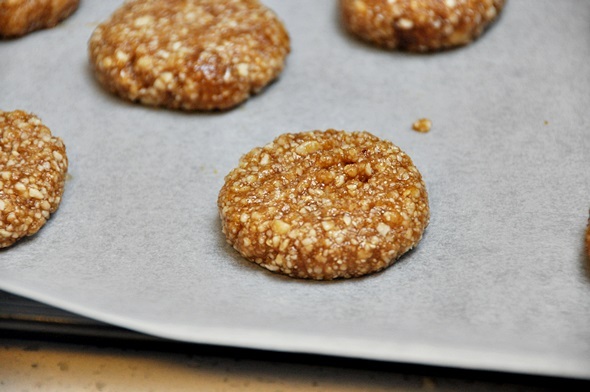 Bake them in a preheated oven for 10 minutes or until the exterior is turning golden brown. 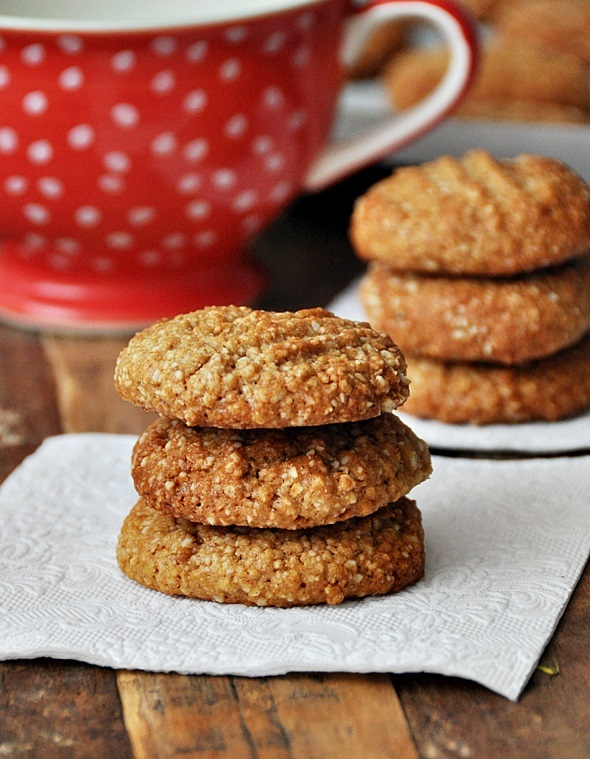 Allow the cookies to cool completely before consumption. I am so thankful with all your wonderful entries as well as the opportunity to collaborate with Leggos and Nuffnang. The winner for this giveaway is Laura. Congratulations! As usual, I will contact the winner via email for postal details. Thanks again everyone!